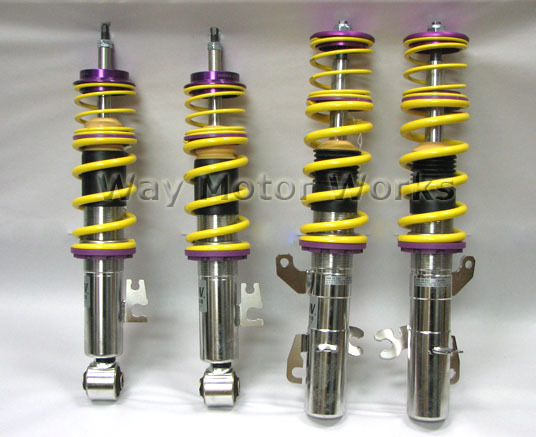 KW Clubsport Coil-over System for 2002-2006 R50, R53, MINI Cooper and Cooper S, and 2005-2008 R52 MINI Cabrio. This is the ultimate track setup for a race car or track day car. Front upper strut mounts included.